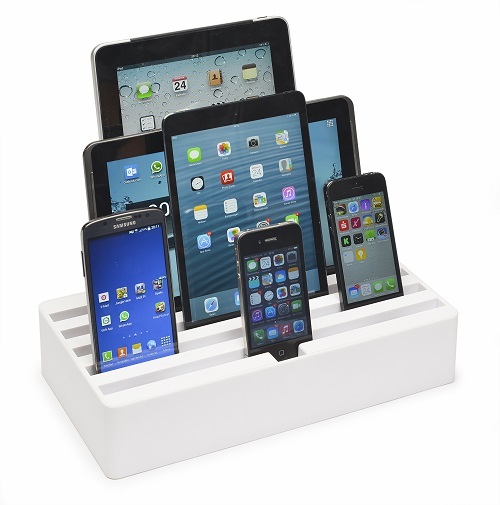 Griffin PowerDock 5 is a space-saving charging station for countertop or desktop, providing safe charging and storage for up to 5 devices. 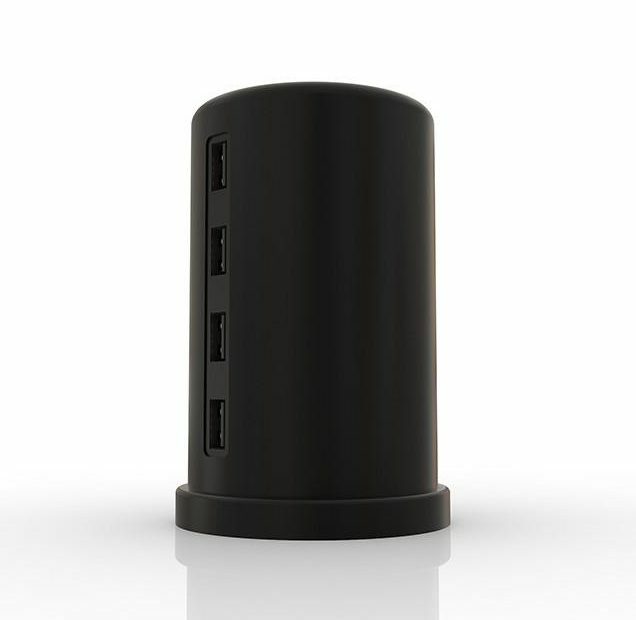 It doesn’t take up much room, and gives you a place to store and charge 5 devices at one time from a single power source. 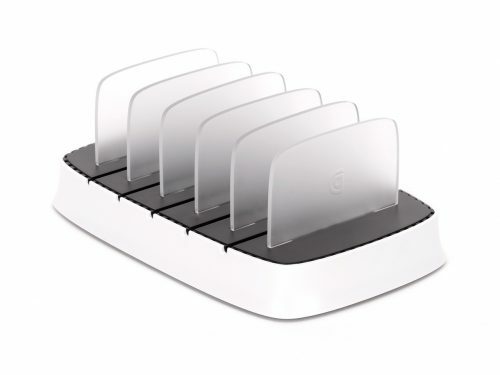 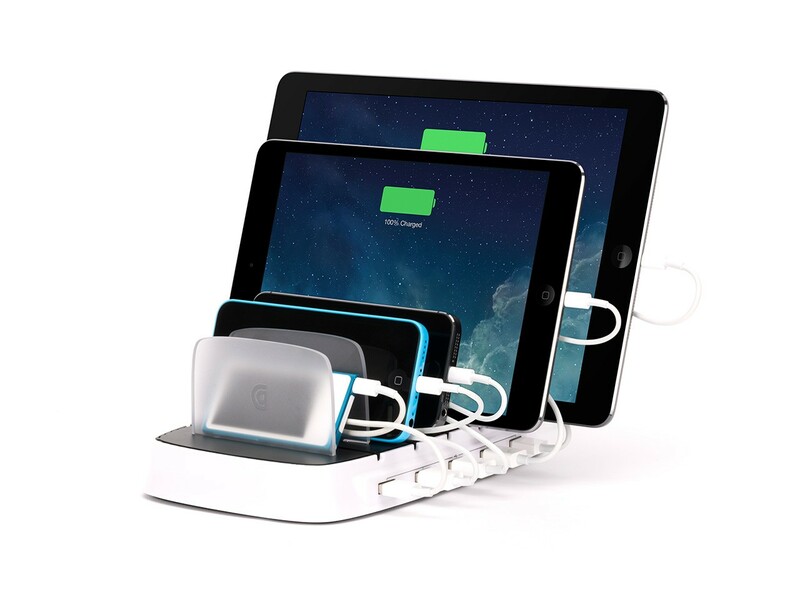 PowerDock 5 gives each tablet its own charging port and its own clear backrest. Each charging bay is roomy enough to accommodate your iPhone, iPod or iPad in their cases. 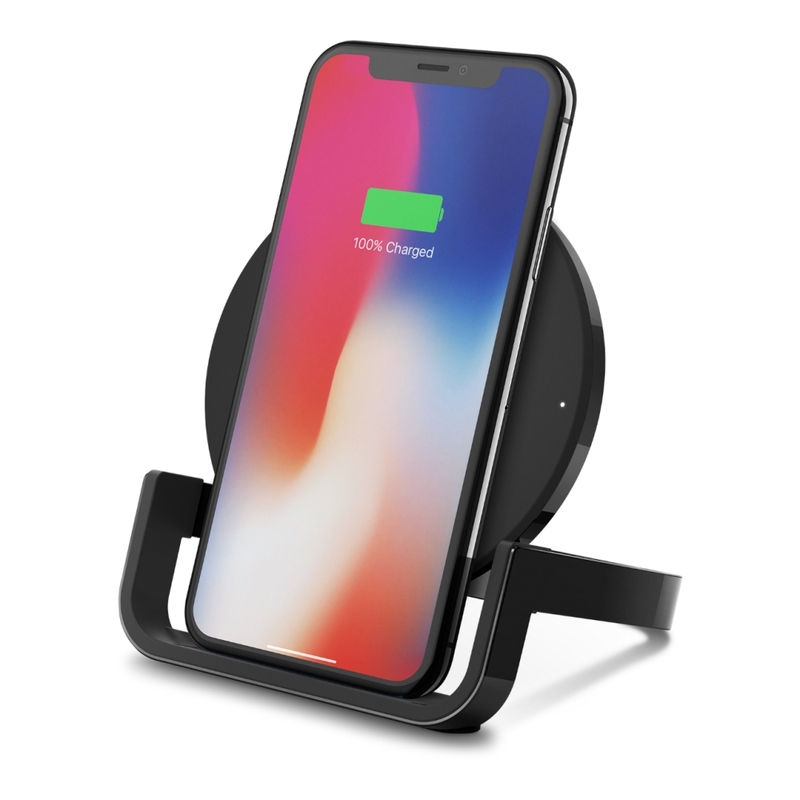 Many smartphones and tablets have unique charging requirements, so PowerDock may not charge your device as fast as you’re used to. 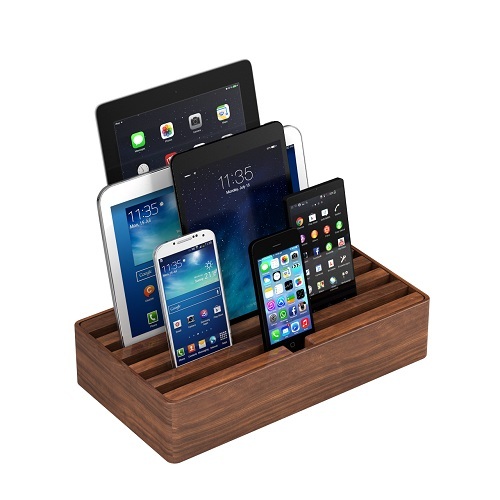 Make sure you check your device’s manual for any special requirements.